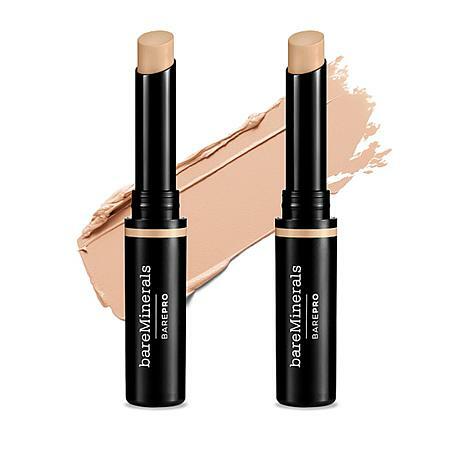 A duo of ultra creamy concealer sticks that glide on smooth and provide full coverage for imperfections. 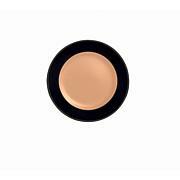 To conceal the look of imperfections, uneven skin tone, or texture, apply concealer directly from tube and pat in gently with ring finger. 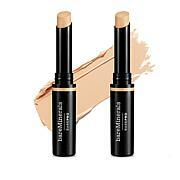 For fuller coverage, blend out with a small, flat brush. 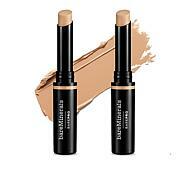 To diffuse coverage, blend with a dual-fiber brush. For best results, dust on Mineral Veil (not included) with a soft, fluffy brush. To add the look of brightness to dull or sallow skin, focus on the center planes of the face to accentuate and add brightness, such as the forehead, cheeks, bridge of nose, and chin. This will help to counteract dullness. Blend in using a dense brush. Use a smaller brush to blend nose. For best results, dust on Mineral Veil with a soft, fluffy brush. To contour and highlight, select shades two to three intensities deeper and two to three intensities lighter than your skin tone (depending on desired level of contrast). Using the deeper shade, apply in the hollow of the cheeks to sculpt and define cheekbones and along the sides of the forehead near hairline to visually shorten forehead. Apply along sides of nose to slim the nose. Using the lighter shade, apply directly above contour shade on cheeks, down bridge of nose and center of forehead, and chin to bring light to the center of the face. Buff in the lighter highlight areas first, with long back and forth strokes, then blend in the deeper contour areas. Use a smaller brush to blend nose contour. I have really dark circles completely surrounding my eyes...not just below. I really was hoping for something convenient to carry daily without using my fingers or a brush. 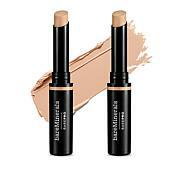 That this actually is a match and bareMinerals brand is super! This is nice and creamy, non drying, and covers well. I got the light/neutral and it works well.